Sand Cats can make short sprints where there reach speeds up to 25mph. Sand Cats often live in burrows abandoned by other animals like foxes or porcupines. 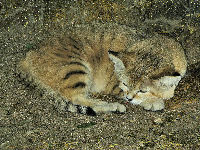 Sand Cats eat small mammals, birds and reptiles. 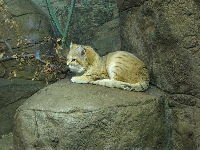 Sand Cats live mostly solitary lives. 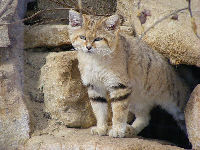 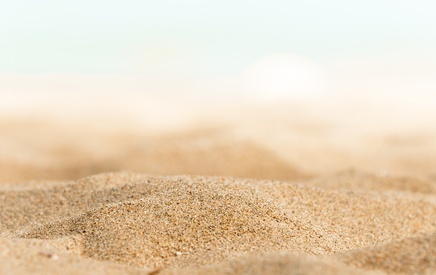 Sand-cats have many kittens in their life.